chronicles of a frenchie: Glad to have a HP!!! 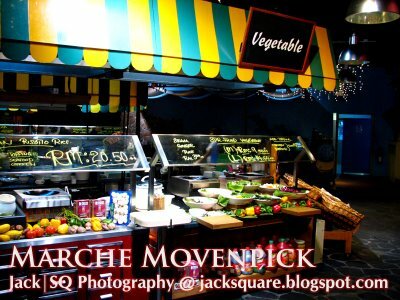 Before we continue further with more information and stories about the Marche dinner...let's not starve yourself...mwahhaha!!! 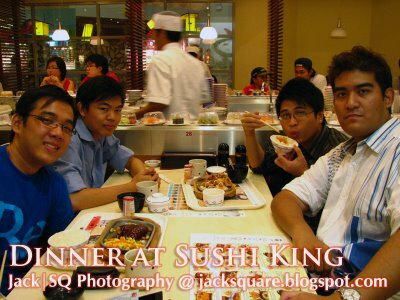 Jack and I had dinner at the Food Court - of which i suspect this is the place where i got my food poisoning from. 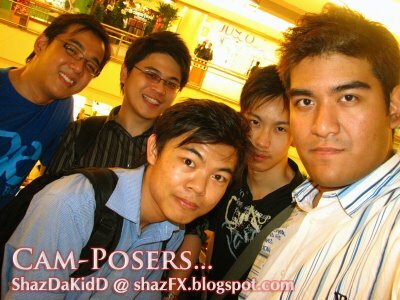 Yes it was in MidValley. We joined Jason, Mikel and Tonyyy later at Sushi King. If only i didn't eat at the food court that day, i wouldn't have been on MC for like one whole week. Now back to the food at Marche Movenpick - the food here is great. 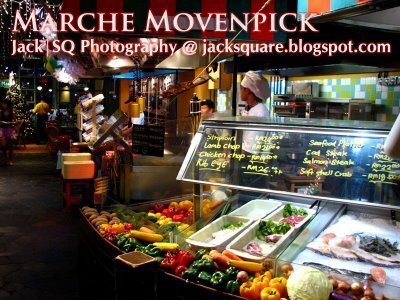 There's still time for you fellas to eat at Marche and enjoy these fantastic offers. 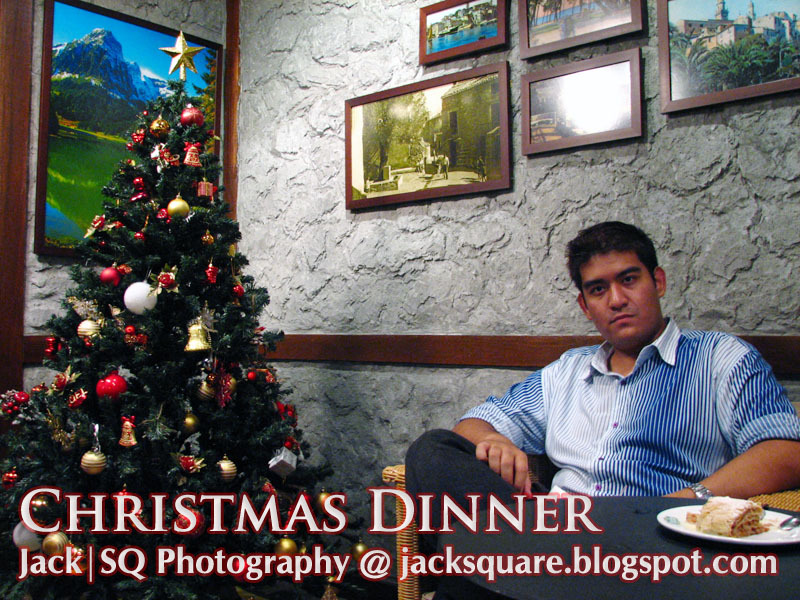 The 12 treats for Christmas is only for a limited time only. Wanna win the vouchers? simply log on to Xfresh.com and participate in our online contest. He just got his new laptop...woohoo!!! It's a HP. 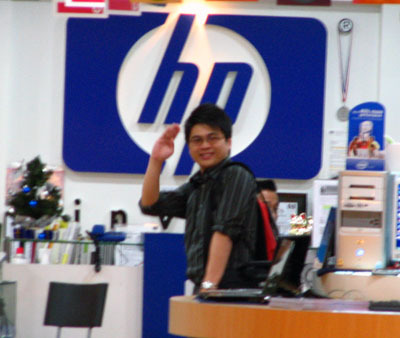 So is it safe to say now that every hour, there's a new HP Laptop user? 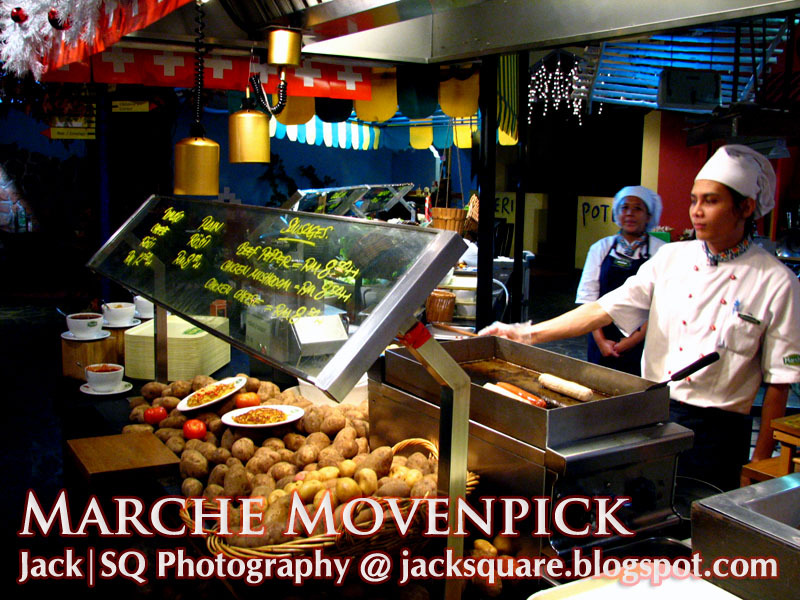 The ginger bread house at Marche Movenpick. 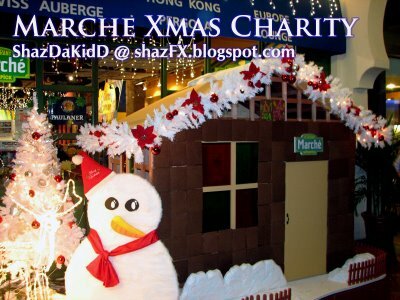 You can donate to charity by paying ten ringgit for you to write your name on a ginger bread and post it on this house. 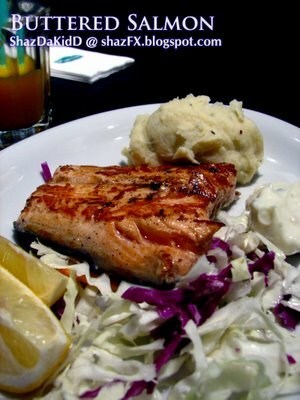 Grilled Salmon...it is so delicious, yes you can share this with two person. 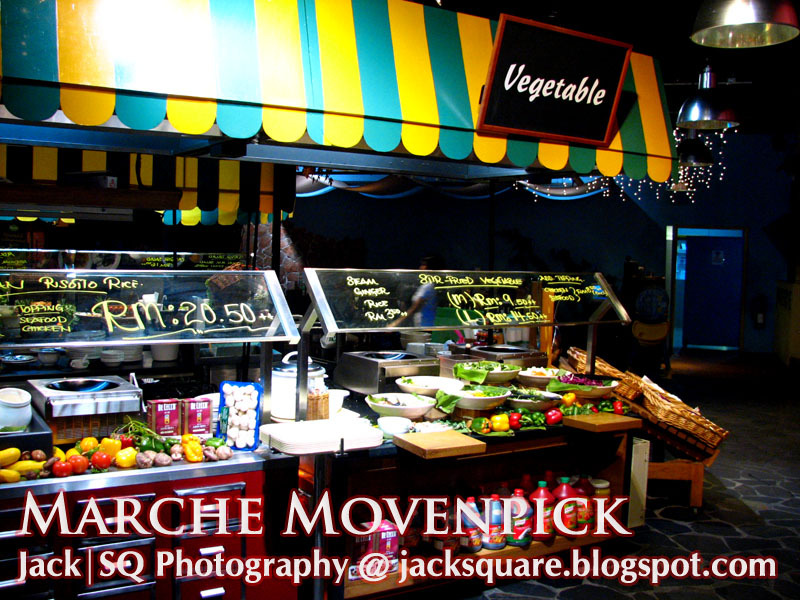 The stalls here at Marche where you are able to choose which vegetable / fruit you want them to use in the cooking. Having my Apple Strudel here at Marche Movenpick. 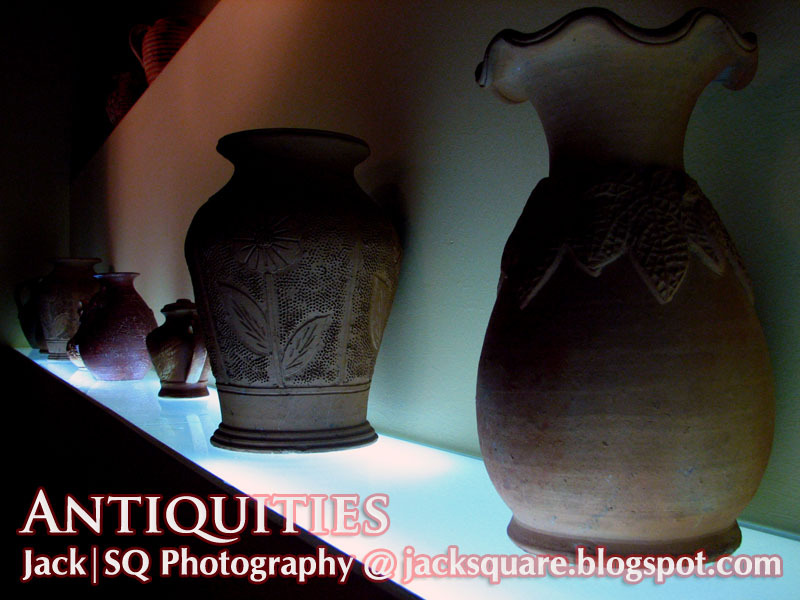 Some sort of antiquities "vase" that they put here on display - pic taken by Jack. You want Fish, Meat, Chicken, or just simply oysters? You Choose they cook! Rosti - made of potatoes, side order would be accompanied by Sausages. 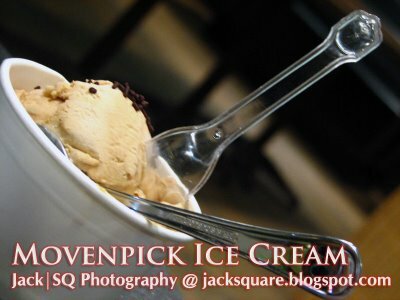 Movenpick Ice-Cream, made in Switzerland for the world to taste.